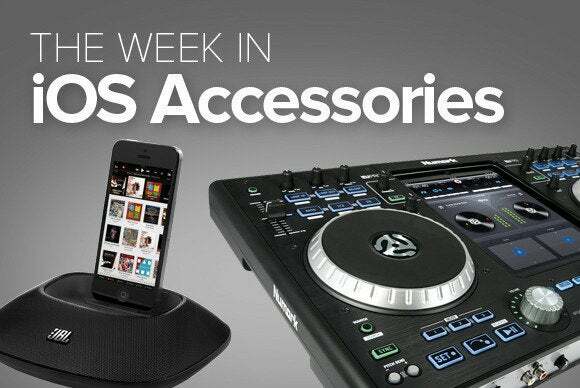 Just because it's WWDC week doesn't mean the endless flow of new iOS accessories slows down. 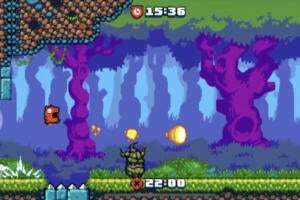 This week's roundup includes a cool new way to control games on your iPhone; we've also got speakers, car accessories, and more. 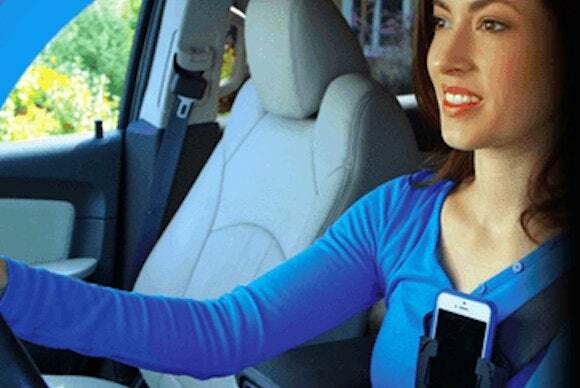 The $30 ClipSee lets you strap your iPhone to your car's seatbelt, letting you conduct hands-free speakerphone conversations with a minimum of distraction and the best audio pickup. 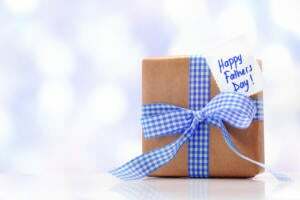 The ClipSee also amplifies the phone’s speaker up to three times. The $799 Charge and Sync Station 16 lets you charge and sync up to 16 iOS devices at the same time, providing 2.4 amps of power to each port to ensure quick recharging. 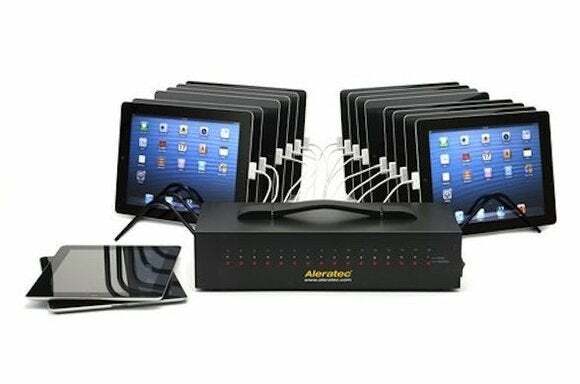 It’s built for use in schools, businesses, and other multi-device environments. 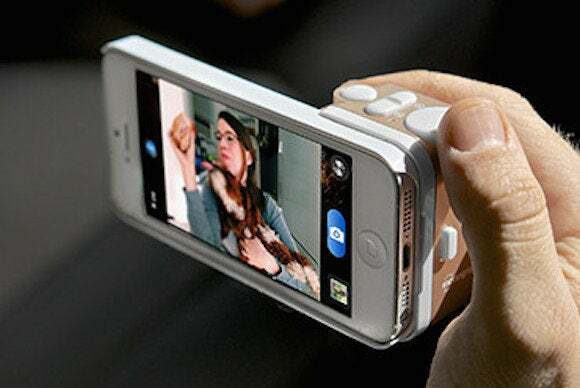 The $70 Snappgrip attaches to your iPhone 5s to provide DSLR-style control over your phone’s camera. Says the company, “Snap on the Snappgrip controller and gain access to real shooting controls including: Shutterfull press to take picture, half press to focus. 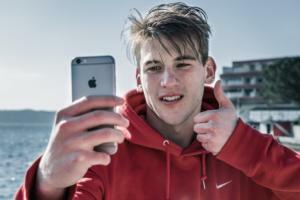 Shooting Mode, Portrait, Landscape, Flash, Video, Zoom In Zoom Out.” The underside of the case features a tripod mount. 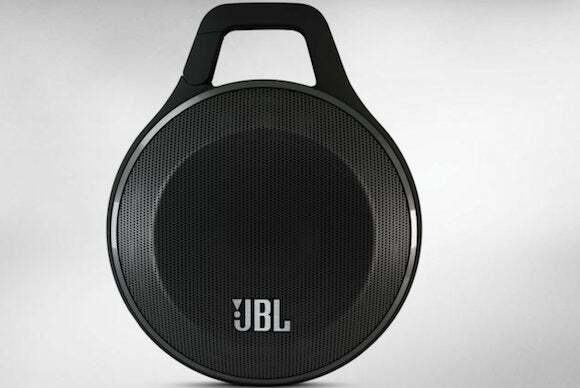 The $50 JBL Clip is an “ultra-light, ultra-rugged, and ultra-powerful portable speaker” that offers up to 5 hours of Bluetooth-audio playback between charges. It gets its name from its ability to (natch) clip to whatever other items you’re carrying to your remote listening spot. 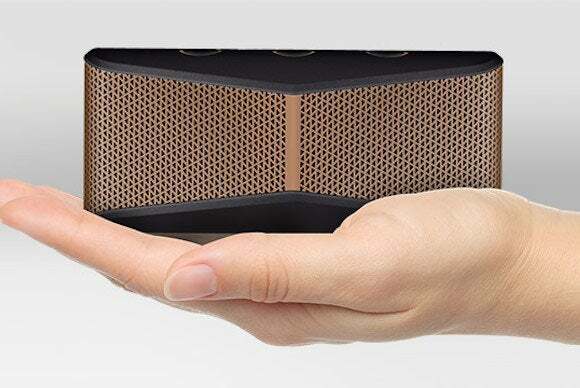 The $70 Logitech X300 Mobile Wireless Stereo Speaker is a portable Bluetooth speaker that offers up to five hours of music playback before needing to be recharged. 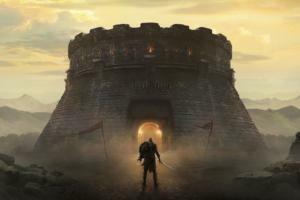 It comes in four different colors, and is currently available for pre-order. This company does variations on a single theme, but it does them well, building acrilyc, transparent cases for displaying iOS devices in public environments without those devices accidentally (or not so accidentally) wandering off. 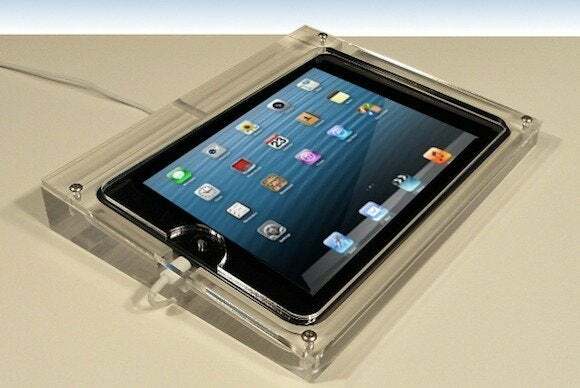 The $80 iPad mini security base is the latest version in the line. 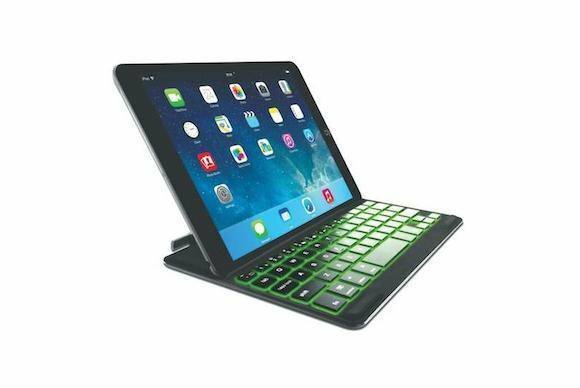 The $80 Keylight Bluetooth Keyboard for iPad Air features backlit keys with seven colors and multiple brightness settings to "make typing in low light areas easy.” It has wide-spaced keys, measures just 7 mm thick, and goes to sleep to preserve power after 25 minutes of inactivity. The $100 Razer Junglecat Mobile Game Controller is a case that snaps onto your phone, then lets you wirelessly control your games through old-school buttons and directional controls. 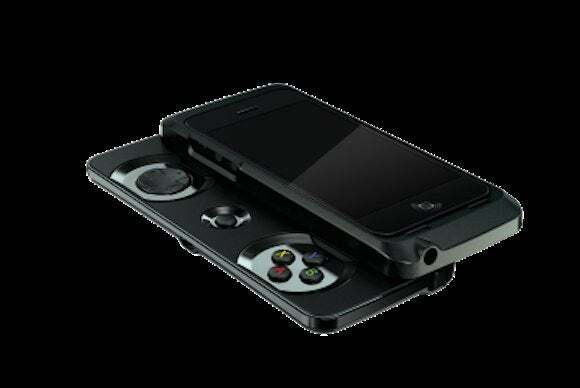 The maker adds, “Fully customize the controller with the Razer Junglecat iOS app that lets you remap all of the gamepads buttons as well as adjust each individual button’s sensitivity to your requirements. 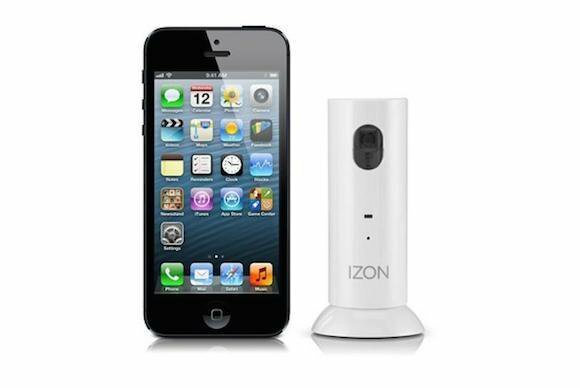 The $130 Izon 2.0 Wi-Fi video monitor lets you keep an eye on your kids via the company's app on your iPhone or iPad. You can even configure the system to alert you when it senses motion or sound. 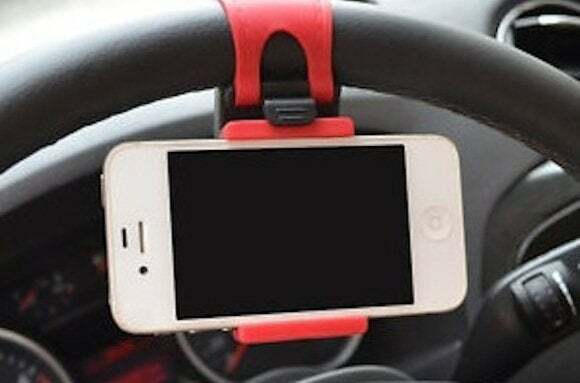 The $3 Car Steering Wheel Phone Universal Mount keeps your iPhone just inches away from your hands and near your line of sight while driving. 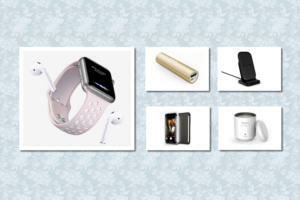 It’s compatible with iPhones, iPod nanos, and several other smartphone brands and models.